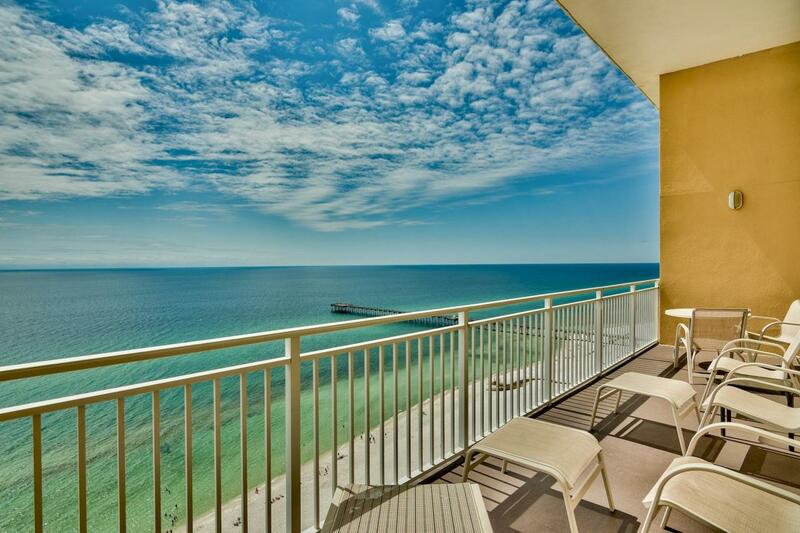 Gulf Front Penthouse Condo with Spectacular Views! 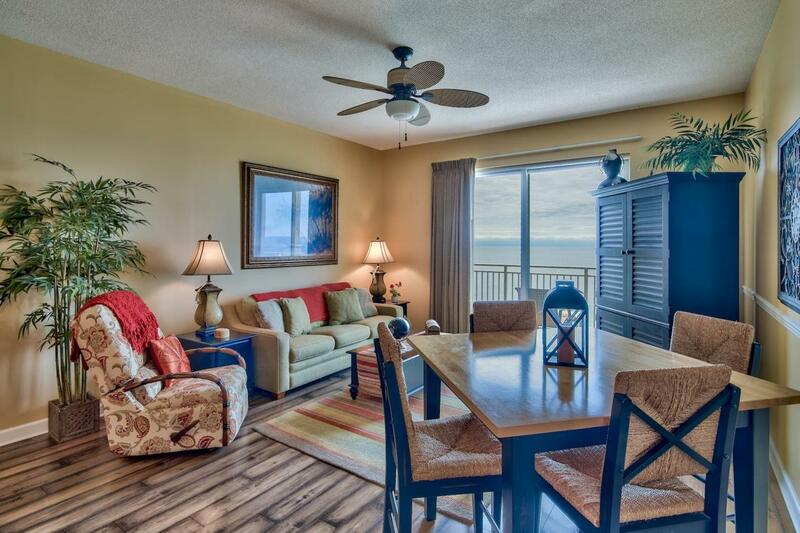 Beautifully Furnished with laminate wood flooring and granite counters. HVAC replaced in 2017. 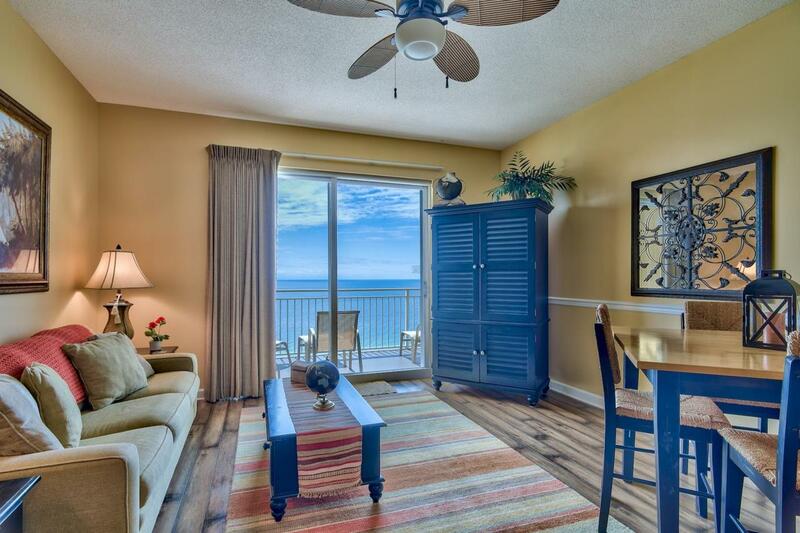 Spacious master suite with balcony gulf view and cozy guest bedroom with built-in single bench/bunk. Great location- across from water park, restaurants and near Pier Park shopping! 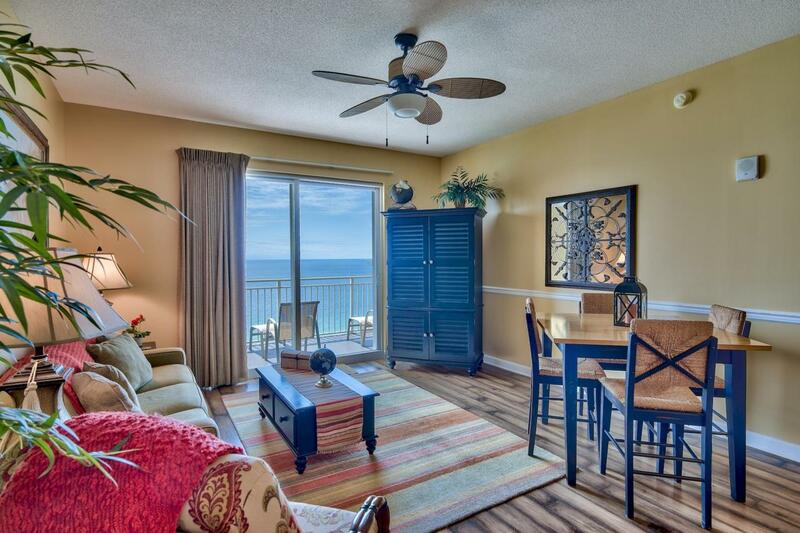 Amenities include Pool, Beach Access, Exercise Room, BBQ/Picnic Area, Unassigned covered parking. Owner occupied and not on a rental program. Rental projections- $30-35K.